At BeInCrypto, we regular price analyses and predictions for XRP. On Mar 22 XRP, we predicted that XRP—still known widely as Ripple—would experience short-term losses before starting an upward move. While the short-term losses were predicted correctly, an upward move has yet to materialize, but we still believe it is coming. Click here to read more or keep reading below for our most recent price predictions for XRP! On March 21, 2019, the price of XRP (XRP) reached a high of $0.324 before a rapid drop brought prices below $0.306. After a gradual uptrend, prices again dropped. At the time of writing on Mar 25, lows below $0.309 were becoming more frequent. 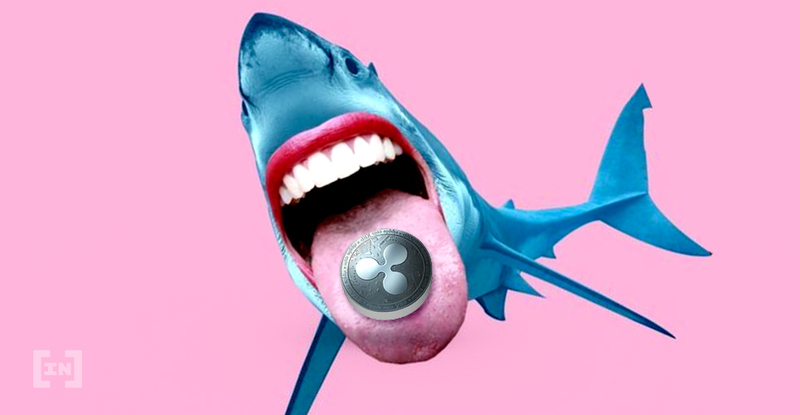 Will XRP’s price keep going down or will a reversal bring up back to the highs seen on Mar 21? Based on today’s analysis, we predict that XRP will keep trading inside the descending wedge defined below. However, we expect a breakout in the longer-term. The price of XRP might then partially recover from the Mar 21 high before new lows are experienced. It is trading inside a descending wedge. There is support near $0.304. The price of XRP on Binance is analyzed at two-hour intervals from Mar 19 to Mar 25. The price reached a high of $0.328 on Mar 20. A sharp drop ensued, followed by a gradual downtrend move. The price has made successively lower highs. Tracing these highs gives us a descending resistance line. The resistance line acts as a ceiling to price, preventing further upward movement. It theoretically traces the upper limits of the price and measures the rate of decrease. The price has been decreasing at the same rate as predicted by the resistance line. Breakouts above the line such as the wick highs of $0.326 and $0.324 on Mar 21 can be considered insignificant since they were not supported by continuous gains. The price is likely to keep decreasing at the same rate predicted by the line. Taken without other trends or indicators, this suggests continued gradual price losses. However, a reversal may be forthcoming based on deeper analysis. XRP reached a low of $0.306 on Mar 21. It immediately rebounded and closed at $0.312 on the same day. An upward move was followed by a gradual downward move. Several market cycles were completed along the way with each low being lower than the previous one. Similar to the resistance line, the support line acts as a floor to price, preventing further downward movement. In the case of XRP, it currently measures the rate of decrease. The resistance and support lines combine to create a descending wedge. This is a bullish pattern and suggests that price increases are more likely than decreases. A breakout is possible but it is also possible that XRP may fall back toward support after nearing or touching the resistance. However, it appears that the wedge will converge by the end of the month. At that point, A breakout above support or breakdown below resistance would become inevitable. The wedge, however, cannot tell us necessarily which to expect. Incorporating technical indicators into the analysis leads us to believe that a breakout is more likely than a breakdown. On Mar 22, the price made a low of $0.311. It made another low of $0.308 on Mar 25. Similarly, the RSI and the MACD made a low on Mar 22. However, the RSI made the same low on Mar 25, while the MACD has generated higher values. This is known as bullish divergence and often precedes price increases. The possibility of increasing prices becomes more liely if bullish divergence occurs in a bullish pattern. This is the case in XRP which is currently trading within a descending wedge—a bullish pattern. These indicators lead us to believe that price will increase to the resistance and possibly breakout. Price may, however, return to the support a fifth or possibly sixth time before convergence. We anticipate a breakout before the support and resistance converge; however, a breakout might not be possible until the wedge fully closes. The price of XRP on Binance is analyzed at four-hour intervals from Feb 24 to Mar 22 to better visualize future possible resistance and support levels. There are three visible resistance areas, near $0.313, $0.317 and $0.324. The final resistance area coincides with the top of the wedge. This means that in the case of a breakout, they would provide likely reversal areas. Based on our analysis, it is likely that the price will eventually reach one of these areas. The closest support area is found near $0.305, coinciding with the end of the wedge. If the price keeps trading until a point of convergence between resistance and support, it will reach this area. Based on this analysis, the price of XRP is likely to trade inside the confines of the descending wedge before eventually breaking out. If the price keeps trading inside the wedge until a point of convergence occurs then breaks out, the prediction will be fully validated. A breakdown below support will invalidate this prediction. Do you think the price of XRP will eventually break out from the wedge? Let us know in the comments below. Are Digital IDs the Start of a Blockchain-Based Service Economy for the Cayman Islands?